Printed on Bicycle® stock with Magic Finish provides exceptional handling. Custom backs, Jokers, Ace of Spades & pips. Metallic Ink on card face. Produced by Card Experiment. 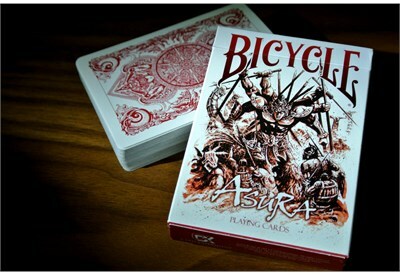 Printed by US Playing Card Company.